Desi Smith /Gloucester Daily Times. 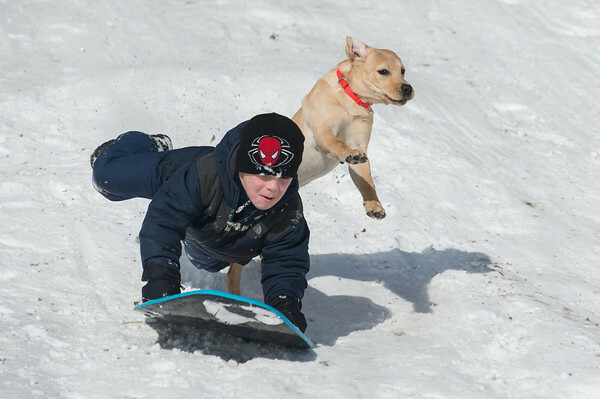 Charlie Terelak 11, of Gloucester was being chashed down the hill by Juno a 5 month old yellow lab owned by Brian Linn of Gloucester. Juno caught up to Charlie as he hit the jump making contact with Juno, sending them both into the air Sunday morning at Evens Field in Rockport. February 16,2014.